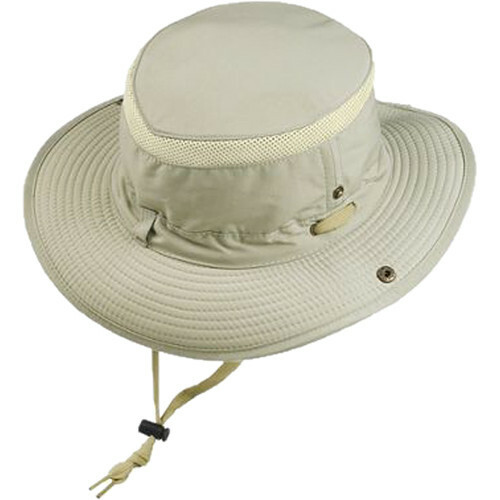 Shield yourself from the sun and stay cool with this medium khaki Outback Hat from Glacier Glove. This hat has a noteworthy ultra-violet protection factor (UPF) of 50+, blocking out 98% of the sun's UVA and UVB rays to help you avoid sunburn and other skin problems. It features a dark underside to help reduce glare from reflected light, as well as an adjustable chin strap to keep the hat in place as you enjoy nature or work outdoors. Hat size is 7 - 7 & 1/8.